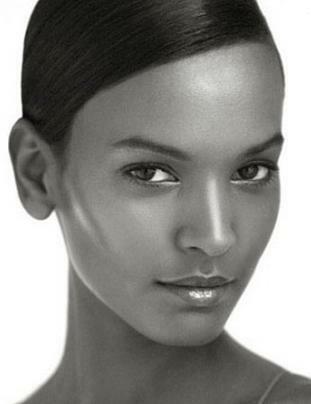 True Fashionista Now > Uncategorized > Liya Kebede: The New Face of L’Oreal Paris. PARIS, June 20, 2011 /PRNewswire/ — Liya Kebede, an international model, entrepreneur, actress, humanitarian and true advocate for mothers and children as well as a mother herself, today joins L’Oreal Paris. Liya dedicates much of her time and energy to humanitarian causes, about which she is passionate. In 2005, she was nominated as a Goodwill Ambassador for the World Health Organisation (WHO), for maternal, neonatal, and infant healthcare. Her commitment was such that, just a few months later, she established the Liya Kebede Foundation, raising money for the Durame Hospital in Awassa, Ethiopia, with the goal of providing healthcare material. The L’Oreal Paris division of L’Oreal USA, Inc. is a total beauty care company that combines the latest in technology with the highest in quality for the ultimate in luxury beauty at mass. The L’Oreal Paris brand encompasses the four major beauty categories – haircolor, haircare, skincare and cosmetics – and includes such well-known brands as Preference, Excellence, Feria and Healthy Look haircolor; Elnett Satin Hairspray, EverPure, EverStrong, EverSleek, VIVE Pro, Studio Line and L’Oreal Kids haircare; Revitalift, Youth Code, Age Perfect, Ideal Skin Genesis, Collagen, Sublime Bronze and Men’s Expert skincare; and the Colour Riche, True Match, Infallible, True Match Naturale and Studio Secrets Professional cosmetics collections, along with a portfolio of mascara including Voluminous, Double Extend and Telescopic, among many others. For more information on L’Oreal Paris and its brands, and to get comprehensive, personalized beauty information from the experts, visit www.lorealparis.com for access to unique content and dynamic interactive features, including the exclusive “Can I Help You?” diagnostic tool. Fashionista Summer Bags – Men.